Swaddling your baby may be one of the best decision you have ever made in your life. This is particularly so if you are having trouble putting your newborn to sleep because swaddling gives baby a sense of security. This is backed up by expert studies, who found that swaddling calms baby down, giving them the familiar feeling of being inside mommy's womb. 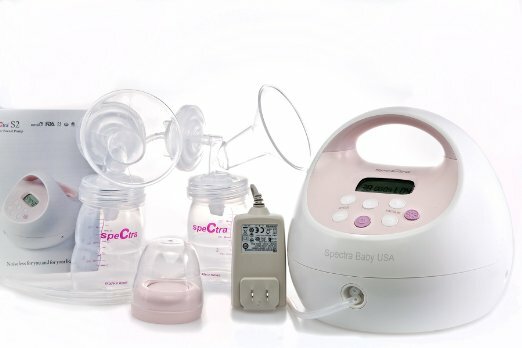 Some parents swear by it, claiming it is a magic tool that puts baby to sleep so much better! If you do not already know, swaddling is basically wrapping your baby in a blanket so snugly that s/he can stay warm and not wriggle out. A swaddling blanket is what you usually use to wrap your baby up. They can be specially designed blankets, or you can use a simple lightweight blanket if you've already mastered the art of swaddling. A little trivia, swaddling blankets are traditionally known as "receiving blankets" - the blanket use to 'receive' babies at birth. Nowadays, they are more commonly known as swaddle sack, sleep sack or in a more basic term, swaddles. With all the miracle blanket reviews out there, we're sure you're not unfamiliar with this famous baby swaddle. 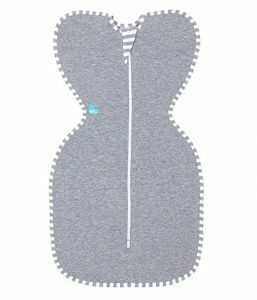 We have to admit, it is not just a hype - the Miracle Blanket Swaddle is truly one of the best baby sleep sack ever created. 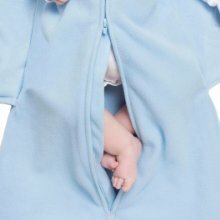 Made from 100% cotton, it does not have any velcro or zip, which means nothing to scratch or wake baby. Regarded as one of the best receiving blankets by parents across the world, it has been proven to extend sleep periods between feedings as it prevents night movement and separation anxiety (in a comfortable way!). Yes, even fussy babies - they will sleep longer and deeper in this miracle blanket. The triple patented arm flap design may look a lil complicated in terms of wrapping, but don't get intimidated by it, it's actually very simple to use. Simply tuck your baby's feet into the pouch and wrap the two flaps around him securely and baby will be snug as a bug. We tell you, this is a swaddle for babies who roll! There really is something just so miraculous with the Miracle Blanket Swaddle that babies seem to love it so much. And anything that babies like, parents love! Definitely one best sleep sack that we'd highly recommend! 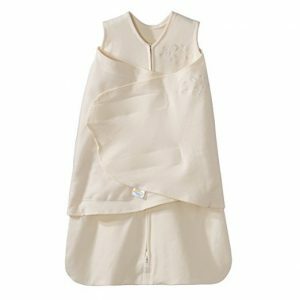 The HALO SleepSack Swaddle is another one of the best swaddles for newborns. In fact, it is the No. 1 choice of hospitals nationwide as their swaddle of choice for safe sleep education. 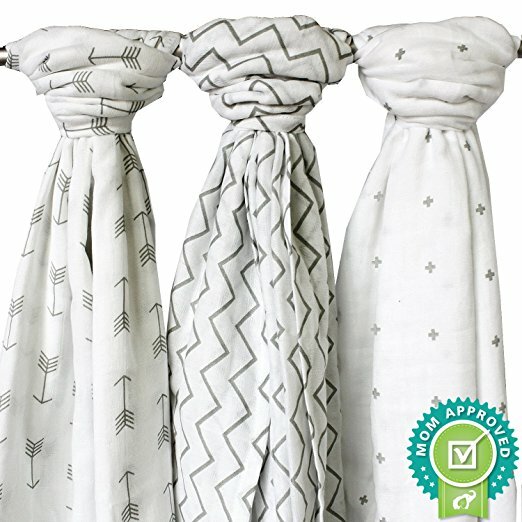 This is the only 3-way adjustable swaddle that adjusts to your baby's sleep style and development stage - arms in, hands to face and one (or both) arm out. This ensures baby sleeps best at his comfortable position and is a gentle and easy transition to the next-level blanket when it is time to stop swaddling. Parents say it is one of the best swaddle transition that they have ever came across. We especially like how it comes with an inverted zipper that allows for easy diaper change without the need for any unswaddling. The sleeveless design reduces the risk of overheating (best swaddle for summer), and we think it adds a considerate touch by embroidering "Back Is Best" to remind caregivers to put babies on their backs to sleep, which is the safe and recommended way to prevent SIDS. 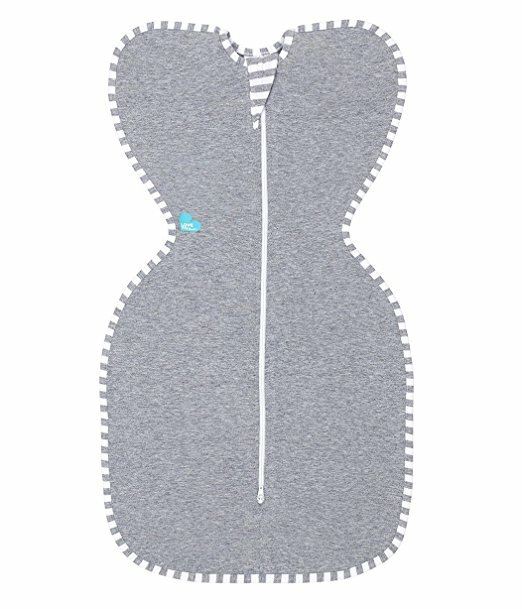 The HALO SleepSack Swaddle comes in two sizes - newborn and small (as a swaddle for older babies). It is made of 100% cotton and can be worn in all seasons, and with a generous sack design that allows for kicking (but cannot be kicked off), it is no wonder this is regarded as one of the best swaddle sleep sacks across the world. And oh, if you favour velcro fastening (for the ease of it), this is also the best velcro swaddle available that fastens securely and is not easy for baby to pull apart. Unlike the Miracle Blanket and HALO SleepSack, the Aden + Anais Swaddle comes in a pack of 4 cotton muslin swaddled. If you're on the hunt for the best muslin swaddle blankets, this is the one to go. Made of 100% cotton, these pre-washed muslin swaddles are one of the best cotton blanket that is super soft from the start (just like a mother's touch!) to ensure your baby is comfortably wrapped. There is no zipper or velcro strap so for those that are not familiar with swaddling, the first few times of wrapping may be slightly tricky. We assure you though, it takes only a few practices before you become a master at swaddling (even if you need to do it at 3am)! Breathable and lightweight, the Aden + Anais Swaddle is one of the best baby blankets for summer. It is versatile and large enough to go beyond the swaddling stage - use it as a nursing cover, a stroller cover, a burp cloth or even for tummy time! And because they are so big, they make for some of the best swaddle for big babies. 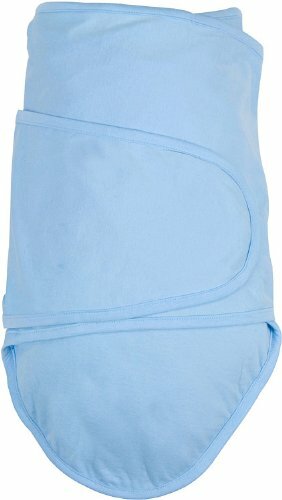 Definitely one of the best swaddle that grows with your child! 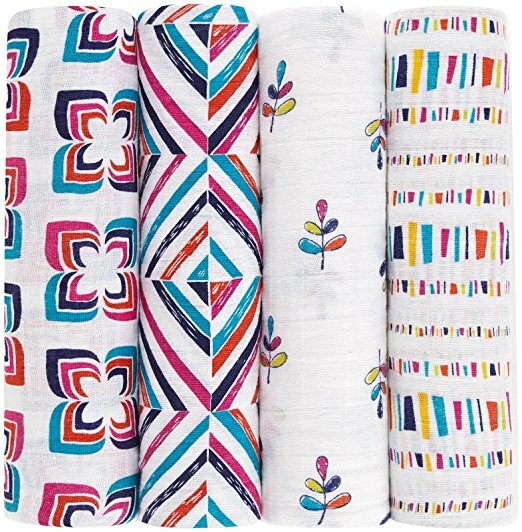 The Love to Dream Swaddle UP Original comes in three sizes - X-Small as a swaddle wrap for newborn, Small as a swaddle for 3 month old and Medium as a swaddle blanket for 5 month old and beyond. This is one of the best baby blankets that really takes into consideration a baby's sleeping position into its design. It notes that babies naturally put their arms up (to self-soothe when they wake up at night) when placed on their backs to sleep so it allows exactly just that - Arms Up in its patented wings design. 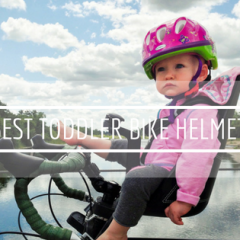 This is unlike traditional swaddles which hold babies' arms down (which may frustrate some). The Swaddle UP is easy and fast to use, thanks to the dual zippers that allow for easy diaper changes without taking baby out of the swaddle. It does not have any velcro so you do not have to worry about bothersome snaps or noisy closures that will wake baby up. 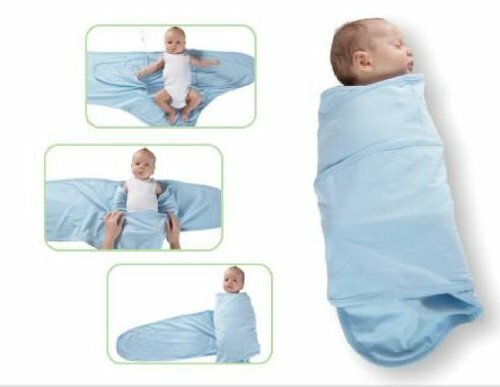 Once it is on, it will not come loose or undone at night, thus eliminating the risk of baby 'breaking out' of the swaddle. 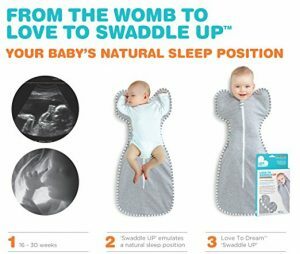 Overall, if you are looking for the best swaddle sack, the Love to Dream Swaddle UP Original is one swaddle that will not disappoint! 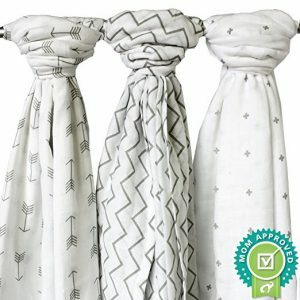 If you like muslin swaddles but think the Aden + Anais is a tad too expensive, you may consider the Ziggy Baby Muslin Baby Swaddle Blankets, which are comparable in terms of quality but at a more affordable price. Also made from 100% cotton, these muslin blankets are super soft, lightweight and breathable, making them one of the best swaddlers for babies. Likewise, it is big in size, making it perfect as swaddle blankets for bigger babies so that you do not have to buy another one when your baby outgrows a newborn swaddle. Even if your baby no longer needs swaddling, you can still put it to good use, such as a pram cloth, a nursing cover, car seat cover, muslin burp cloth, toddler blanket ... you get the drift. 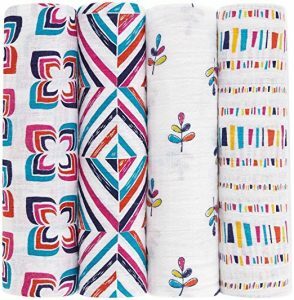 All in all, the Ziggy Baby Muslin Baby Swaddle Blankets make for one of the best muslin blankets that are superb in quality, affordable price point and will last you through years of multiple uses. Now that you know which is the best infant sleep sack to get for your little one, let's see what are the benefits of swaddling. Studies have also found that swaddled babies sleep safer, better and longer (music to your ear, anyone?). This is believed to be mainly because swaddling calms the startle reflex, or in technical term, the "Moro" as babies' arms are immobilised. Apart from that, it also stops any facial scratches and twitches that may wake baby up in the middle of the night. If that is not good enough, swaddling has also been proven to reduce Sudden Infant Death Syndrome (SIDS). 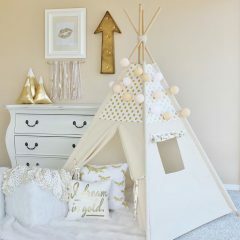 This is because it replaces loose blankets (to keep baby warm) in the crib that can cover baby's face and interferes with baby's breathing. Keep note though, if your baby has been diagnosed with hip dysplasia, look for swaddles that are recognised as "Hip Healthy" by the International Hip Dysplasia Institute, such as this or this one here. The average age to stop swaddling is when baby turns 5-6 months. Of course, each baby is different so a general rule of thumb is to discontinue swaddling when baby shows signs of rolling over or breaking out of the swaddle wrap, as this is when it becomes a hazard where s/he may suffocate from the blanket.